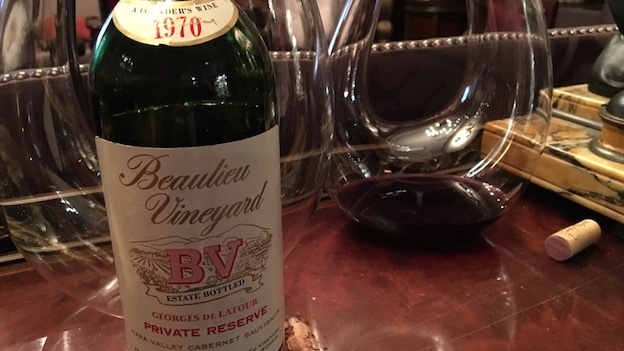 I haven’t tasted Beaulieu Vineyard’s 1970 Cabernet Sauvignon Private Reserve Georges de Latour in a few years. Time has been kind to the 1970. Or perhaps it is more accurate to say the 1970 has been kind to time. Soft, delicate but also fully mature, the 1970 offers an intriguing palette of sweet tobacco, mint, dried cherries, dried flowers and anise nuances. The tannins are now fully resolved, and there is no upside from cellaring bottles further. 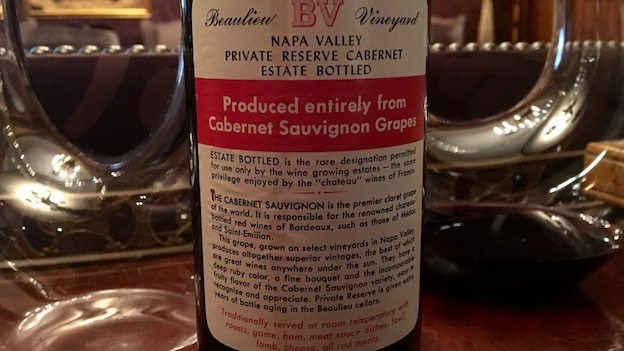 The 1970 belongs to a much earlier era in the winery’s history. André Tchelistcheff, bottled the first Private Reserve with the 1936 vintage and enjoyed a long, brilliant career at BV until his retirement in 1973 (he later returned as a consultant). The 1970 was made from BV’s historic BV#1 and BV#2 parcels, and was aged in 100% American oak, as was the custom of the day. For more on BV, Tchelistcheff, readers might want to consult the Vinous Map of the vineyards of Rutherford. 92/Drink now.